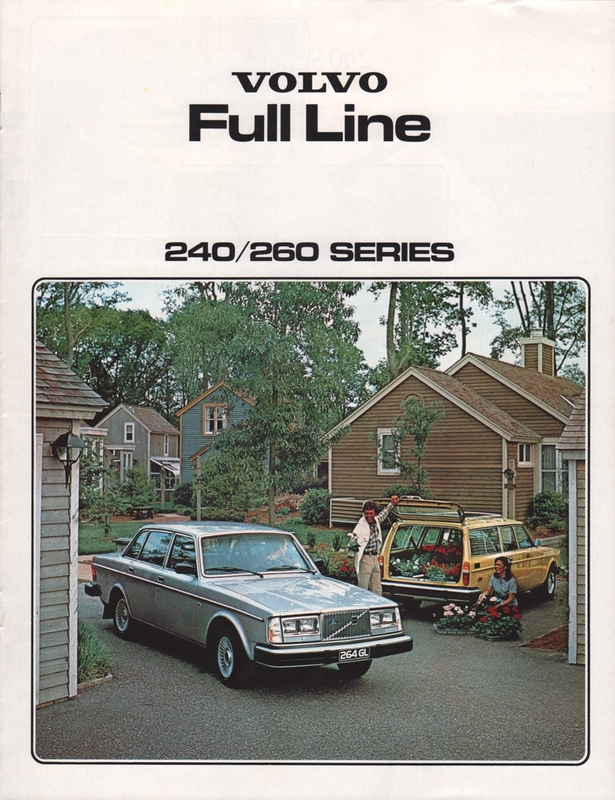 Sales brochure for the 1979 Volvo featuring the 240/260 Series. Inside are featured the Volvo 240 Sedan, Volvo 260 Sedan, and Volvo 245 & 265 GL Station Wagons. Engine options are a 127hp 163ci V6 for the 262C, 264GL and 265GL; and a 107hp 130ci 4-cylinder for the 242, 244, 245, and 242GT.